March is almost over, but many of us have the 'Winter Blues' because the cold just won't leave! We recently had snow just the other day and it's now cold and rainy today! Without a doubt, I have the winter blues! 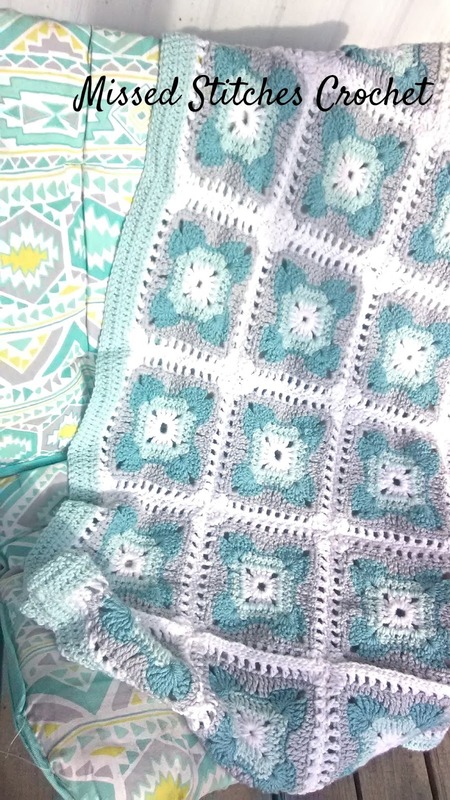 I made this 'granny square' blanket using colors that made me think Cold Winter. 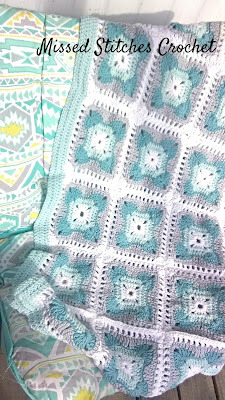 The yarn is a shade of turquoise that's more blue than green. 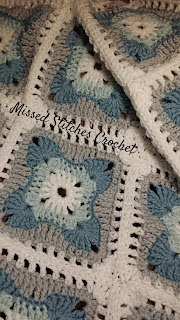 I used Hobby Lobby 'I Love This Yarn', because I really do! ~Worsted Weight yarn in your favorite colors! 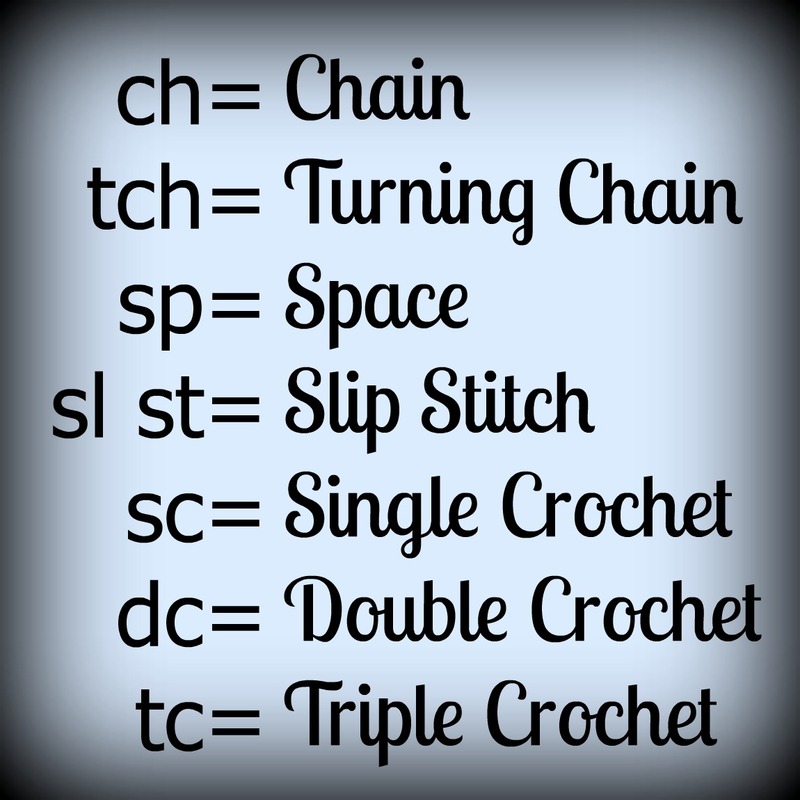 Begin by chaining 6 and joining with a slip stitch to for the ring. I started with White. Round 1: Ch 3, counts as dc now & throughout, then put 3 dc in the ring. Ch 2, then (4 dc, ch2) 3 times in the ring. Complete the round by slip stitching in 1st dc and finish off. Use your darning needle to weave the end in, if you prefer. 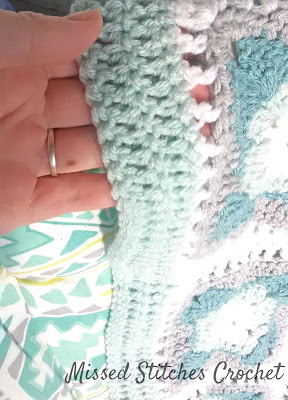 Round 2: Keeping the right side facing you, join pale turquoise with sl st in any ch2-sp. Next, ch 3 then do (2 dc, ch 1, 3 dc) in the same sp. (sk next dc, dc in sp before next dc) 3 times. 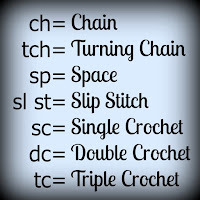 *(3 dc, ch 1, 3 dc)in next ch2 sp- this forms the corner. (sk next dc, dc in sp before next dc) 3 times, repeat from * around, join with sl st and finish off again. Round 3: Continue with right side facing, join darker turquoise with a sl st in any ch1 sp then ch 4 (counts as tr), (4 tr, ch 2, 5 tr) all in same sp, sk next 2 dc, sc in next 5 dc, sk next 2 dc. *(5 tr, ch2, 5 tr) in next ch1-sp, sk next 2 dc, sc in next 5 dc, sk next 2 dc, repeat from * around, join with sl st and finish off again. Round 4: Join pale gray with sl st to any ch2-sp again with right side facing, ch 2, then (2 hdc, ch 1, 3 hdc) in same sp. *hdc in next 2tr, dc in next 3tr, tr in next 2sc, sk next sc, tr in next 2 sc, dc in next 3tr, hdc in next 2tr, (3 hdc, ch 1, 3 hdc) in next ch2 sp. repeat from * 2 more times, then (3 hdc, ch 1, 3 hdc) in last ch2-sp, join with sl st to top of beginning ch2 and finish off. *(2 dc, ch 1, 2 dc) in corner ch1-sp, ch 1 (sk next st, dc in next st, ch 1) across to next corner ch1-sp, repeat from * around and join with sl st in 1st dc. This creates the square. 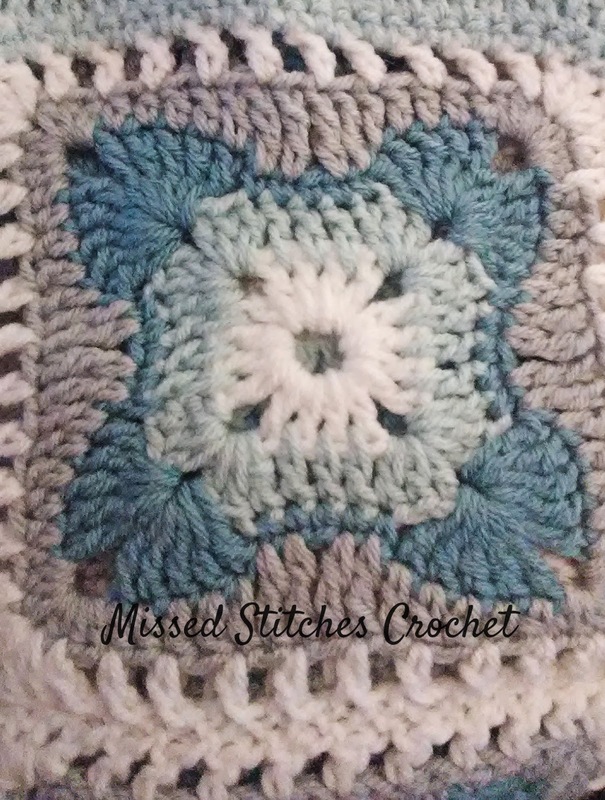 Use your favorite joining method to put your squares together. 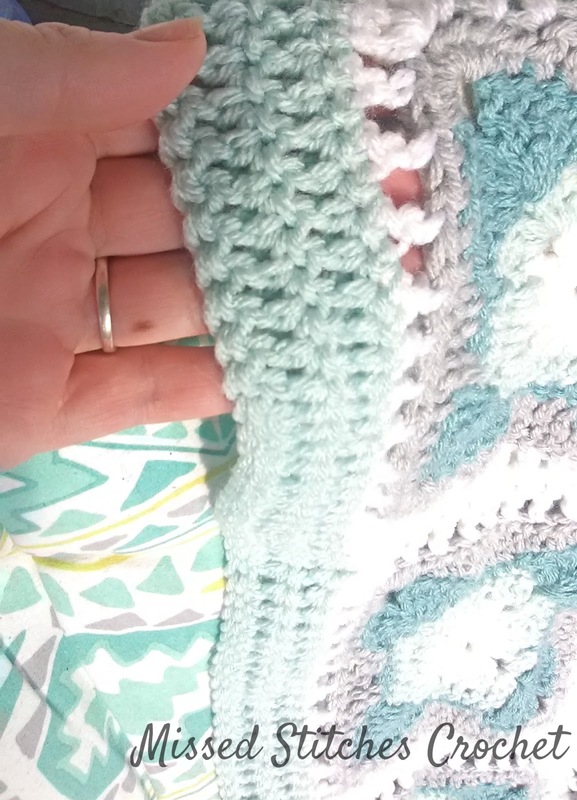 I used a darning needle and white yarn, and looped the yarn through the back loops only of each square edge. 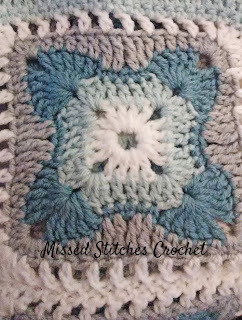 For the border, I really didn't feel like counting stitches and getting fancy. So I just did sc all the way around to start, then 2 rows of dc. Connect the squares how you want! If you decide to do a fancy border, or other colors, hop on over to our Facebook Group and share your photos!